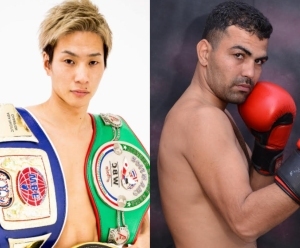 Sanman’s first promotion for 2019 will feature its top two prospects fighting against marquee opponents on February 9 at the Midas Hotel and Casino. The event is also presented by ESPN 5. “This will be an exciting night of boxing. Filipino boxing fans will be treated to seeing our top boxers fighting at home. We assure of of an even more exciting undercard to be announced soon”, Sanman CEO JC Manangquil stated. The event will be televised live via ESPN5.